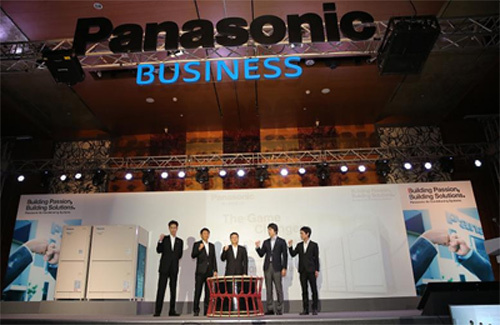 Panasonic Vietnam will consider investing more in the country in the future, General Director Eiji Fukumori said at a ceremony in Ho Chi Minh City on January 7 to unveil the new-generation FSV – EX air conditioning system. According to Fukumori, Vietnam’s household electronics market is very promising thanks to a young population, socio-political stability, massive influxes of foreign direct investment and an estimated economic growth of 6.6 percent for this year. As a member of the Trans-Pacific Partnership and the ASEAN Economic Community, Vietnam will be among countries that benefit most, he said, adding that Panasonic targets to become the fastest-growing company in the consumer electronics sector by 2020 by tapping Vietnam’s advantages over joining a number of free trade agreements. Last year, Panasonic’s sales of air conditioners for business use in Vietnam grew by approximately 151 percent, behind Malaysia (170 percent)./.